Prepare to be blown away by our new ZR oil-free VSD compressors! Up to 10% more output, 15% lower energy consumption and 25% less floor-space, compared to other oil-free compressors on the market. The two IP66, water-cooled permanent magnet motors that drive the the ZR 90-160 VSD+ compressor were designed and built in-house, specifically for independently driving the low and high pressure compression elements. These motors contain oil-lubricated bearings to ensure a long, maintenance-free lifetime. The speed of the elements is controlled using Atlas Copco’s NEOS VSD technology. NEOS optimises the speed of both elements throughout the entire operational speed range of the compressor to maximise unit efficiency. The NEOS drive and motors are designed and manufactured by Atlas Copco to ensure a perfect match and optimal performance. Why not add an integrated, guaranteed -40°C pressure dew-point dryer that offers almost zero energy consumption? This Full Feature package offers you true peace of mind, reduced installation materials and a through-life cost of ownership investment lower than any comparable oil-free compressor available today. What's special about our new ZR VSD+ oil-free compressors? Designed for reliability. Atlas Copco's ZR range of compressors is known for its long life and dependability and the newest addition to the family goes above and beyond. The vision for the redesigned model was centred around simplicity and serviceability, cutting out everything that could impact upon your machine's uptime. How is the integrated dryer on the ZR VSD+ different from others? Investing in oil-free technology is the best way to safeguard the integrity of your process and guarantee the quality of your product. Our ZR VSD+ range is certified to deliver Class 0 and is made on a production line that is compliant with ISO22000. But your compressed air system is not made up only of your compressor. Sensitive applications such as pharmaceuticals, food and beverage, electronics and automotive have stringent requirements where air quality is concerned, most commonly defined through the ISO8573-1:2010 standard. This standard defines the maximum level contaminants (particles, water and oil) which can be present in the compressed air used for an application. Most commonly, sensitive applications such as these highlighted require dry compressed air. 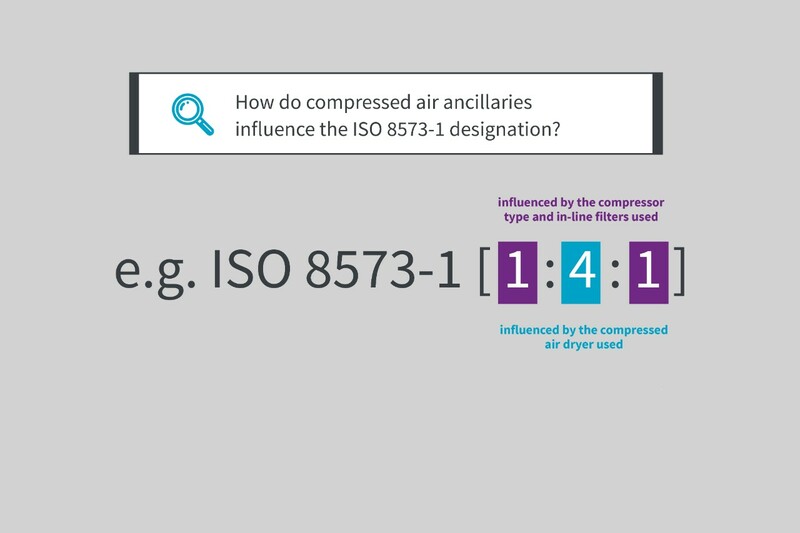 Because traditionally compressors with integrated dryers are only available with a refrigerant dryer option (enabling a compressed air pressure dew point of +4°C), the dry air requirement meant your compressed air system had to include a desiccant dryer to achieve the standard needed. The most common solution was to add a heated blower purge dryer such as our CD+ or BD+ range of desiccant dryers, though Atlas Copco now offers zero purge options. The new ZR VSD+ range of oil-free compressors offers a different method to meet your quality requirements. By integrating our most efficient compressed air drying technology, the new ZR compressor offers you the benefit of a 25% smaller footprint for your installation and compressed air with a pressure dew point of -40°C at the compressor outlet. This is alongside the benefit of a reduced pressure drop that would have been brought on by the external dryer and required filtration. Recalling that lowering your compressor's pressure output by only 1 bar saves 7% in energy requirement, the financial benefit of a lower pressure drop becomes obvious. 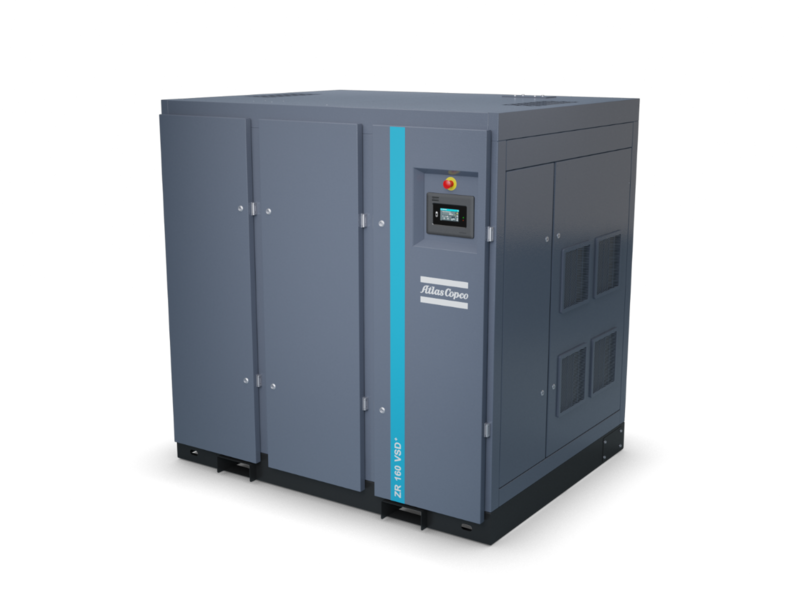 The new ZR 90-160 VSD+ compressor has so many benefits compared with other oil-free VSD compressors, that it truly can be called a leap forward in compressor technology. The range is ideal for applications in the food & beverage, electronics, automotive, textile and pharmaceutical industries, which require oil-free air to guarantee product integrity and quality. Read more in our press release. From £2600 to £35 every year! Compared to traditional twin tower heated desiccant dryers, the ZR's integrated MDG dryer cuts annual energy costs by 98%, making your average compressed air drying bill from £2600 to just £35 every year. Don't just get a compressor - get a Smart AIR solution! An energy-efficient compressed air system needs more than just an energy-efficient air compressor. We designed our range of compressors and ancillary equipment to work together as the most efficient and reliable combination, tailored for your application.